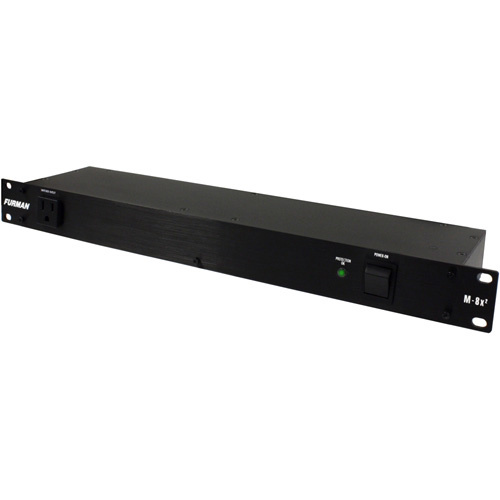 Furman Sound M-8X2 Power Conditioner is the perfect low-cost AC power solution for any rack mount system. Install an M-8x2 in to the top slot of your rack, and the eight switched outlets in the rear panel will power up and protect all your equipment up to a 15-amp load. The M-8x2 is designed for applications where lights are not required.